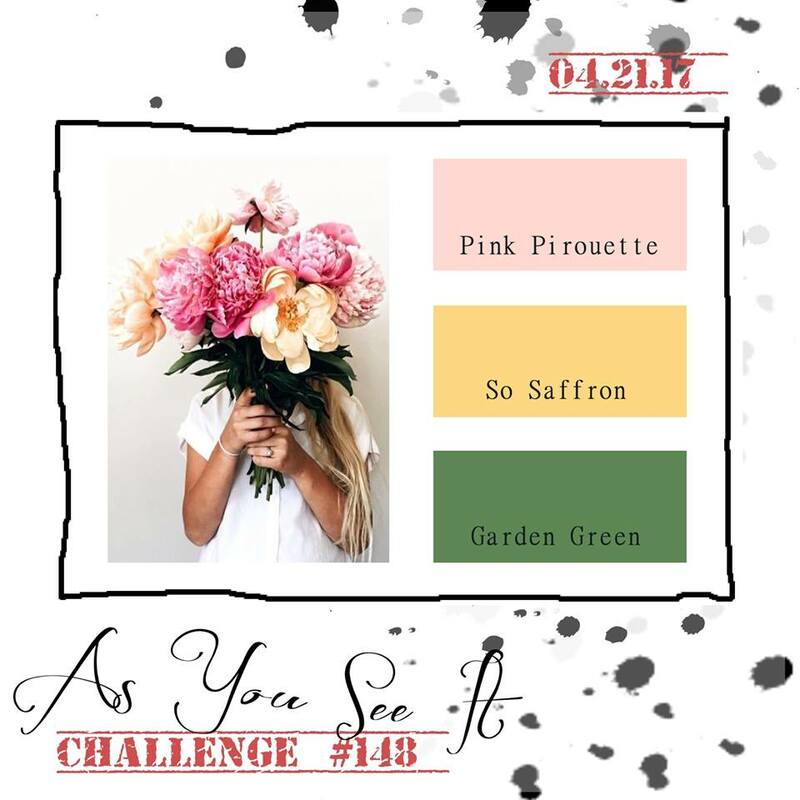 After last week's lovely sketch, this week at As You See It, we have a beautiful spring colour challenge for you. With those colours, it was hard to go past florals. 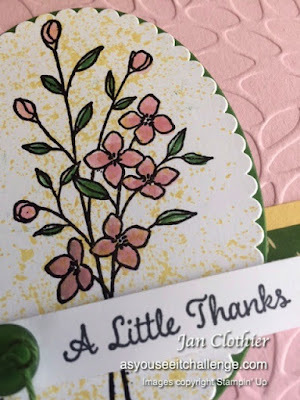 Touches of Texture is a fabulous set and I enjoyed getting out for this challenge. 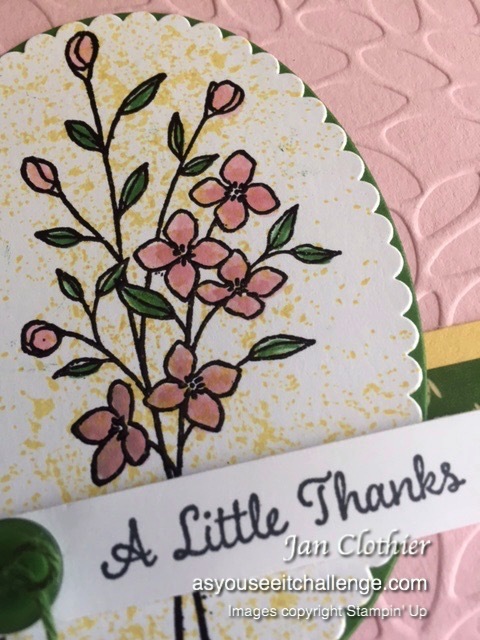 I black embossed the flower cluster and coloured it with markers. We'd love to have you join us in this challenge. You have two weeks until Wednesday 3 May, 11.55 p.m. PST to show us how you see this challenge. 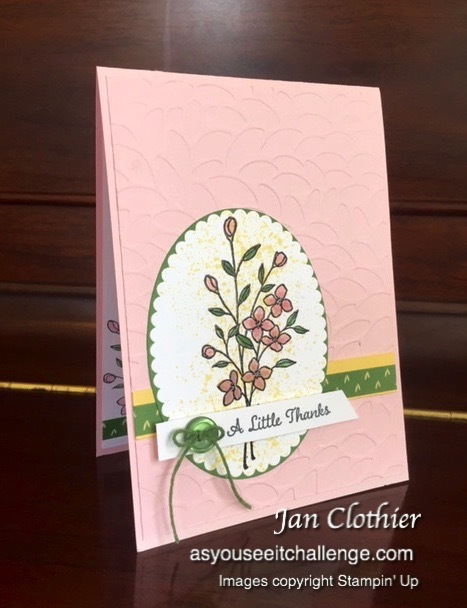 Other: Black embossing powder, Layering Oval framelits, dimensionals, Washi Tape from Warmth and Cheer (retired), button in Garden Green (retired) and Garden Green twine (retired), dimensionals.